Plus Top 2 Teams Win a Trip to Las Vegas to Play in the AGA Championship with a $15,000 Prize Pool! iGames is pleased to invite your League of Legends team into the AGA North America Tournament presented by Intel. This online, double-elimination tournament has a $5,000 cash prize pool PLUS the top 2 teams will win a trip to Las Vegas to compete in the AGA USA Championship with a cash prize pool of $15,000! Team rosters may consist of 6 players; 5 plus an alternate. The team members must be able to commit to all tournament dates (providing they continue to advance) as well as travel to Las Vegas November 30-December 2, 2018 should they be one of the top 2 teams. All players will need an Alienware Arena account, www.alienwarearena.com and will register either as a Captain or by joining the Team after its been created. 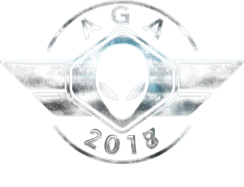 The AGA registration page should be live by Sept 17th. The official registration links will be emailed to Captains of approved teams. All players will need an Alienware Arena account, www.alienwarearenacom and will register either via a Captain or by joining the Team after its been created. The AGA registration page should be live by Sept 17th. We will accept a total of 64 teams into the online tournament. We would like to have all teams selected prior to registration opening. If your team is chosen, you will receive an email with additional information on team registration along with further support channels.